BERLIN, GERMANY. 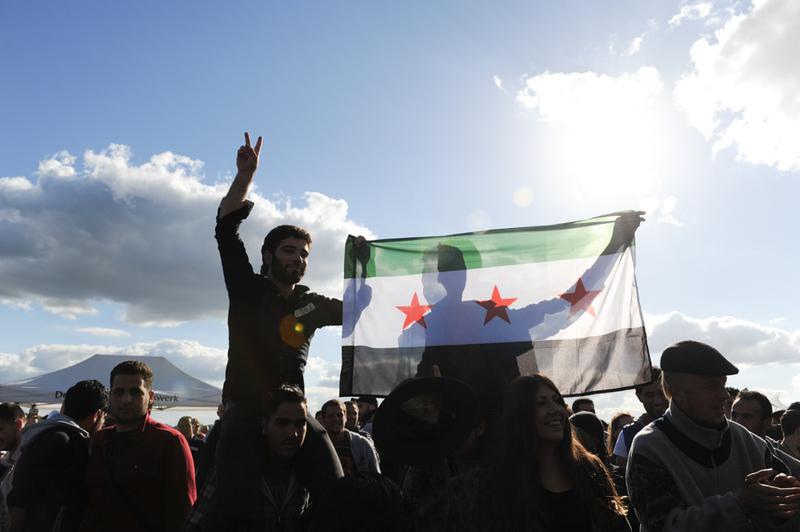 Syrian refugees and others dance and sing and hoist up the Syrian flag at a "Refugees Welcome" picnic for refugees and asylum applicants arriving in large numbers in their country after having fled conflicts in the Middle East, Afghanistan and elsewhere at the Tempelhof Airport Park on September 27, 2015. German Chancellor Angela Merkel has said the country is prepared to accept a historic 850,000 asylum applicants this year but has also sought to tighten its border control with Austria and other Schengen zone countries.